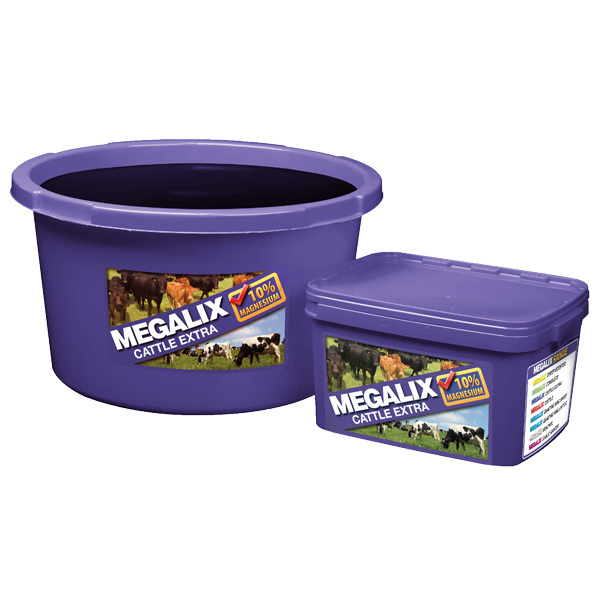 Widely regarded as the highest quality molassed mineral tubs on the market, Megalix tubs are a popular and convenient method of providing bioavailable minerals and trace elements 24 hours a day. Megalix products are fully weatherproof with no waste and are an ideal way of supplementing livestock whilst reducing labour demands. Specially formulated for the beef cow, summer or winter. Increased levels of phosphorous and copper. Typical daily intakes 100g-150g per head per day. Available in 20kg and 80kg tubs.